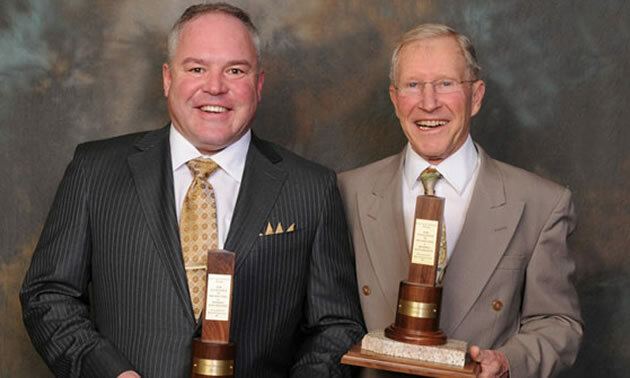 Peter Bernier (left) of Prosper Gold Corp announces Phase 1 drilling, seen here at a 2011 AME BC awards presentation — Photo courtesy Prosper Gold Corp.
Prosper Gold Corp. (“Prosper Gold” or the “Company”) (TSXV: PGX) has completed the Phase 1 drill program at the Currie Project (the “Property”) southwest of Matheson, Ontario. 7 holes, in addition to the previously reported C001 (See the Company’s November 5, 2018 news release), for a total of 2,483.2m were drilled, logged, and sampled by Prosper Gold. With completion of Phase 1 at the Currie Project Prosper is now reviewing, analysing and planning future work at Currie. In addition to Currie, 2019 fieldwork will include compilation and groundwork at the Company’s Cadillac-Larder Lake Break Matachewan project (See the Company’s March 1, 2016 news release for Matachewan Project option details). 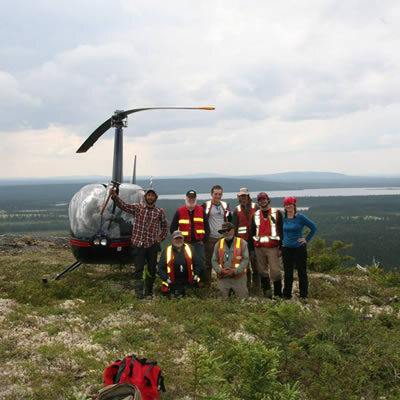 Currie drilling targeted the pyrite horizon in the Upper Tisdale Group. 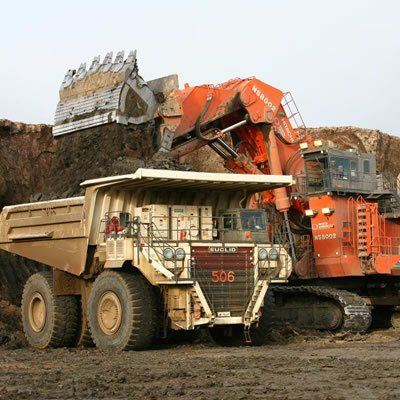 The focus was on enlarging and deepening the zone and improving gold grades testing southeast, northwest, and below known mineralization at the Grindstone Creek occurrence. Mineralization is mostly in the massive to banded pyrite rich sections high in the felsic volcaniclastic unit and the overlying graphitic argillite of the Upper Tisdale Assemblage. Pyrite is commonly banded or layered with banding conformable with foliation. Minor dark sphalerite is disseminated within the massive and semi massive pyrite and makes up 1% of the rock locally. A second type of sphalerite distinguished by it honey colour and by the white calcite stringers within which it occurs is seen rarely. The honey coloured sphalerite with its calcite veinlets cuts the crystalline banded pyrite and appears to be a late metamorphic remobilized mineral phase. Diabase dykes are commonly intersected in the drilling and are found most commonly directly adjacent to mineralization. C002 was drilled to test mineralized zone orientation. It cut 7.9m @ 2.55 g/t Au, 16.67 g/t Ag, 0.4% Zn at the same depth 45m northwest of C001’s massive pyrite intercept of 19.6m @ 1.04 g/t Au, 118.7 g/t Ag, 1.6% Zn. C003 drilled to test the westward extent cut 9m @ 0.29 g/t Au & 4.62 g/t Ag at 190m. C004 and C005 tested to depth from the south. C004 intersected two anomalous intervals, one of 5m @ 0.31 g/t Au & 11.9 g/t Ag and a second of 40.5m @ 0.29 g/t Au & 10.0 g/t Ag. Both intersections are about 125m below and southeast of known mineralization. C005 cut 10.3m @ 0.17 g/t Au & 3.79 g/t Ag and 3m @ 0.51 g/t Au & 2.2 g/t Ag about 125m below known gold intersections. C006 cut 17.7m @ 0.16 g/t Au & 4.71 g/t Ag about 220m down hole. C007 and C008, testing east and south, lack anomalous values. 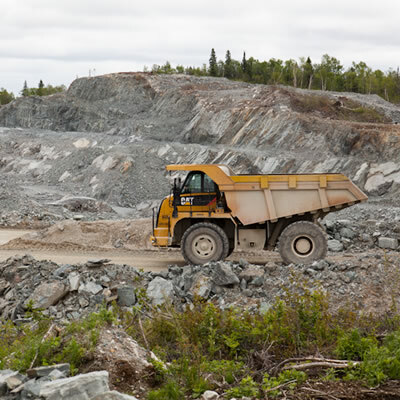 The 2,000 hectare Currie Project, 8 km south of the Destor-Porcupine fault, is underlain by altered volcanic and metasedimentary rocks of the Abitibi greenstone belt. The property hosts the Grindstone Creek occurrence, a Gold-Silver-Zinc zone in massive and semi-massive pyrite-sericite schist (GCZ). The sequence strikes ESE and dips steeply southwest as interpreted from drilling. Rocks are strained and especially the felsic volcanic rocks show a strong SW dipping single phase fabric into which any earlier layering would have been transposed. Diabase, a dyke or sill, dips steeply with the strata. Drill intersection modeling shows it is a branching anastomosing unit or swarm with two or three separate arms. The diabase envelope trends ESE, dips steeply, and is about 70m at its thickest. Overburden thickness is consistently about 50 m as shown by the earlier holes and the geology is inferred from drill results to date and from geophysical data, mainly airborne magnetics. Known mineralization is between 120 m to 300 m below surface and occupies a zone about 300 m long, 100 m wide.